Canal Sur‘s cameras were on 4KSummit18 and broadcast the following news piece in their November 7, 2018 News Issue 1. 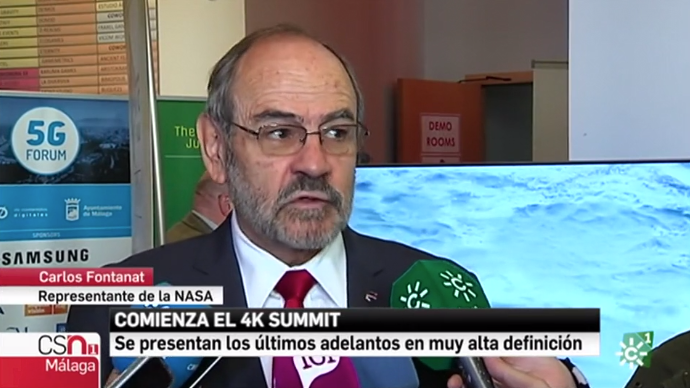 Canal Sur highlights NASA‘s image broadcasting, Samsung‘s 8K TV, Nokia’s 360º projects and Canal Sur’s presence at the event. Canal Sur and Axión presented their productions in 4K at 4KSummit 2018, “Enganches de Caballos de Ronda”.